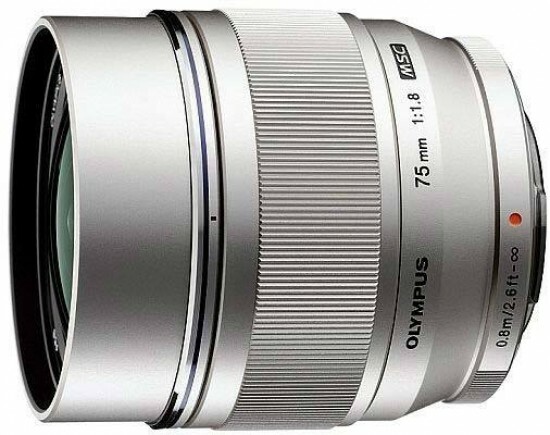 The beautifully crafted, all-metal Olympus M.Zuiko Digital ED 75mm f/1.8 is a strong performer in the optical department, in fact it is one of the sharpest lenses we have ever tested. It's surprisingly sharp wide open at f/1.8, reaching absolutely outstanding levels in the f/2.8-f/8 range. What's more, sharpness is pretty even across the frame, except for the borders at f/1.8, which are somewhat less sharp than the centre (but not objectionably so). For most of our sample images, we used the lens at or near its maximum aperture, and have been extremely pleased with the results. The quality of the out-of-focus areas is also superb, with a creamy-smooth bokeh and wonderfully round highlights. Lateral chromatic aberrations are almost nonexistent, and longitudinal CAs are not particularly intrusive, either. There is some light fall-off in the corners at f/1.8 but its amount is hardly objectionable. For absolutely critical applications, stop down to f/4 or beyond, but for most uses, you can safely use the lens wide open. In terms of its overall aesthetics, craftsmanship and mechanical quality, the Olympus M.Zuiko Digital ED 75mm f/1.8 is a jewel of a lens that's a pleasure to look at and a joy to use. For the traditionalists among you, the “focus-by-wire” mechanism may require a bit of getting used to – but only if you are into manual focusing and have never used a Micro Four Thirds lens before. Auto focus is nearly silent and quite fast too, although this is not the fastest focusing MFT lens around. The lack of image stabilisation may sound a bit off-putting for Panasonic camera owners, but do remember that this is an f/1.8 lens that enables hand-held shooting in fairly dim environments. Olympus users of course have IS built into the camera body. The lack of weather sealing is a bit of a shame, though. All we can say is you seldom come across a lens that is so close to perfection as the Olympus M.Zuiko Digital ED 75mm f/1.8. At a price of £729/$799, it's certainly not a cheap offering but if you really need a fast telephoto lens for your Micro Four Thirds camera, this optic is hard to beat. The only fly in the ointment is that this price does not include the LH-61F lens hood, which will set you back another £60/$75.